Pakistan Telecommunication Company Limited (PTCL) has won the award for ‘Best Asian Operator’ at the Telecom Review Excellence Awards 2018 held at The Meydan Hotel in Dubai. Dr. Daniel Ritz, President & CEO, PTCL, received the award on behalf of PTCL. The awards recognize industry leaders for their efficiency and hard work in 2018. Winners were chosen based on recognized and demonstrated capabilities in their specific sector by an independent panel of experienced industry veterans. It is a great pleasure accepting this award, and I am proud of PTCL’s team who has made it possible for us to be recognized as Asia’s Best Operator. PTCL has taken strategic initiatives for building a customer service culture in the organization, along with innovation in its network. Through its Network Transformation Project, 100 exchanges are being upgraded across Pakistan that will positively impact the customer experience. The organization has gone through a cultural transformation, with a renewed focus on core values, gender diversity and empowerment of employees at the workplace. To drive business agility and efficiency, technological innovations, like cloud technology, have also been introduced for well-integrated systems throughout the country. Being a national company, PTCL has taken numerous initiatives and conducts quarterly activities in different regions across Pakistan under its Corporate Social Responsibility Program. Without a doubt joke of the century like 9/11 and Moon Landing. Why the world is so blind? Just go across the Karachi city and witness yourself PTCL’s wiring and pole diagrams. A mega company is in hands of insensible, nonprofessional beginners for the last many decades. It is clear who ever will work against my country will definitely get such awards. Basically it’s a company of liars and cheaters with zero accountability by any authority. They have awarded full liberty to do whatever they like with the people of Pakistan. Just go with the truth otherwise Naya Pakistan will remain a dream. Jo bhi Pakistanio ka band bajai ga us ko zaroor award miley ga. That is their global/universal policy for the last many decades. Khariat sirf sach ma ha. In these last two months, i never believe it happens whenever we launch investigative complaint against Tarlai Exchange – it never found on 1218 system on the next day. I think Daniel Ritz never knew what’s going on at EVP- BM Level. Tarlai Exchange – Under two MSAG in area, One filled up for about 5 months now – question of proposal of new MSAG – BM Tarlai Ali Hassnain, SBM Mahmood talked about GPON. When we launch complaints, delete from System 1218. 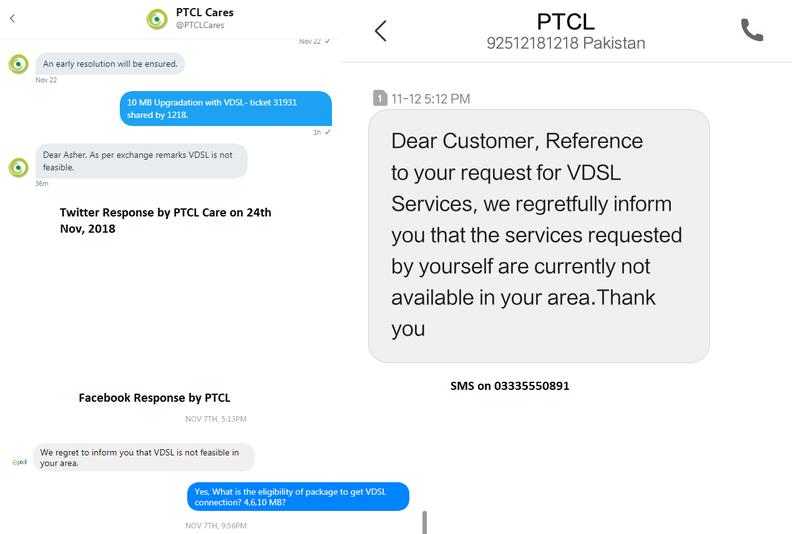 Thanks to RGM ITR Arslan Haider, SBM Mahmood, BM Ali Hassnain for their utmost effort to remain customer play with line issues which again Tarlai Exchange responsibility but due to think more personal benefits rather than PTCL and Exchange- customer is suffering. So everyone who’s corrupt in PTCL. it same calling nawaz innocent. Lolz, joke of the century !!! Worst customer service thrir broadband service is worst of all i am user of Saaditown area which comes under Malir exchange they were unable to provide 20mb bandwidth from msag during peak hours and still was claiming we have naya network with gpon in your area the branch manager Abdul ghafoor doesn’t even understand what msag onu and area bandwidth congestion is and told me to downgrade to 2mbps or grt disconnected. They are still giving adsl connection to customers as their transmission infrastructure is bad. Never ever opt for them. Ammad,it happening in PTCL, so many issues of such nature come to my notice as well. go to router firmware, username password can be obtain from router back sticker. IS TELECOM REVIEW SUMMIT BLIND OR FILLED WITH IDIOTS??? 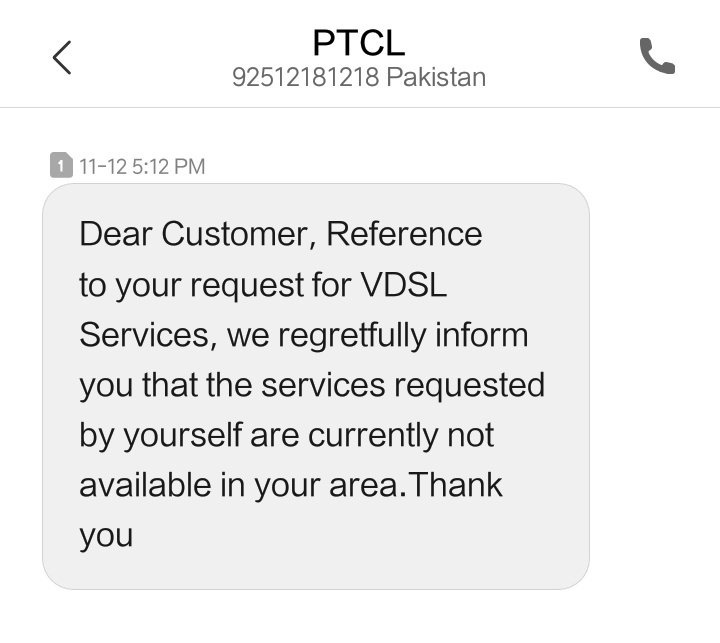 It’s not PTCL but your exchange SBM/BM/AM/RGM all are responsible for such issues. xDSL screenshot can support your issue technically. Wahab whicj city-you find such issues? Negative taraf in k dheyan puri tarah hain, jab k issues ko resolve karne main dheyan den to aik week bhe nai lagta.. Surely this is a joke. Guys, its not April yet, december is going on.